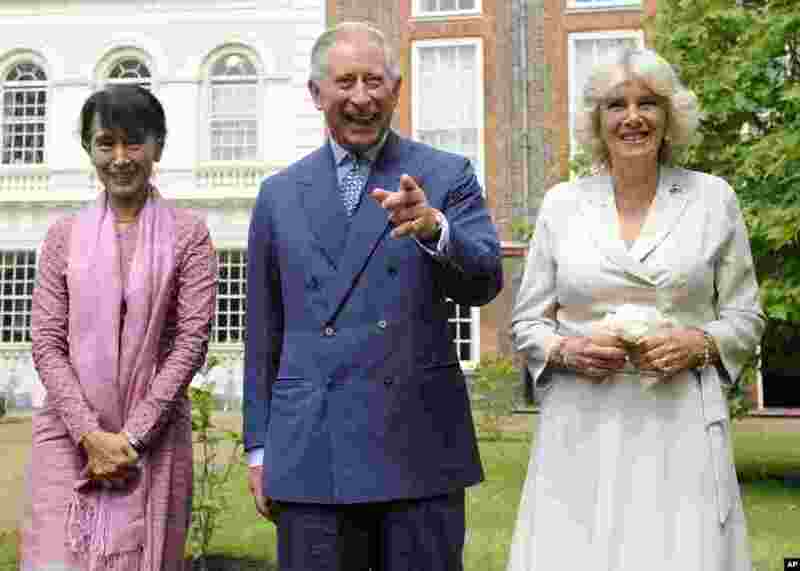 Burmese opposition leader Aung San Suu Kyi is on a more than two-week Europe tour, which takes her to Switzerland, Norway, Britain, France and Ireland. 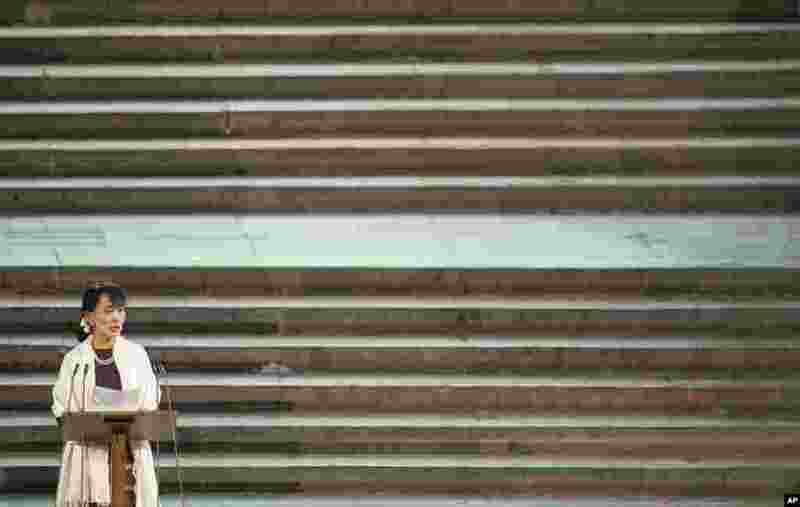 During her first trip to Europe in 24 years, she accepted the Nobel Peace Prize awarded to her more than two decades ago. 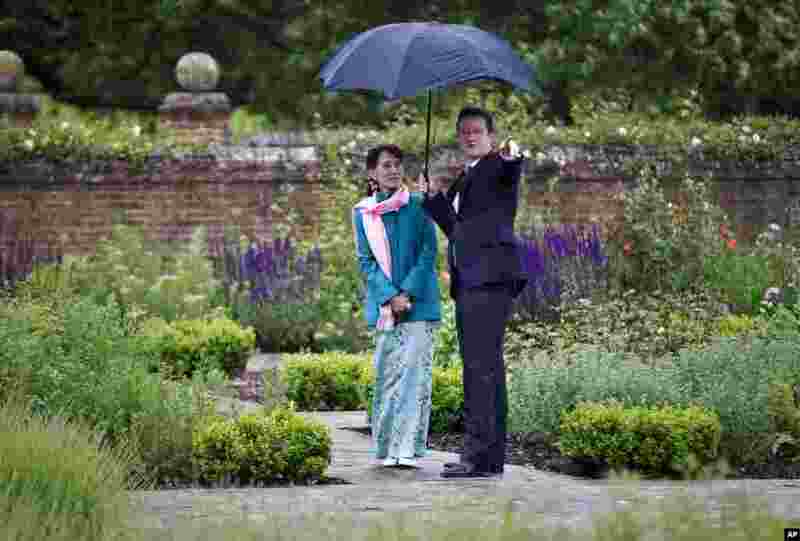 1 Aung San Suu Kyi and British Prime Minister David Cameron walk in the Rose Garden at the Prime Minister's country residence Chequers, near Ellesborough, Buckinghamshire, England, June 22, 2012. 2 Burma's opposition leader makes an address to a joint session of both Houses of Parliament, in Westminster Hall, in London, June 21, 2012. 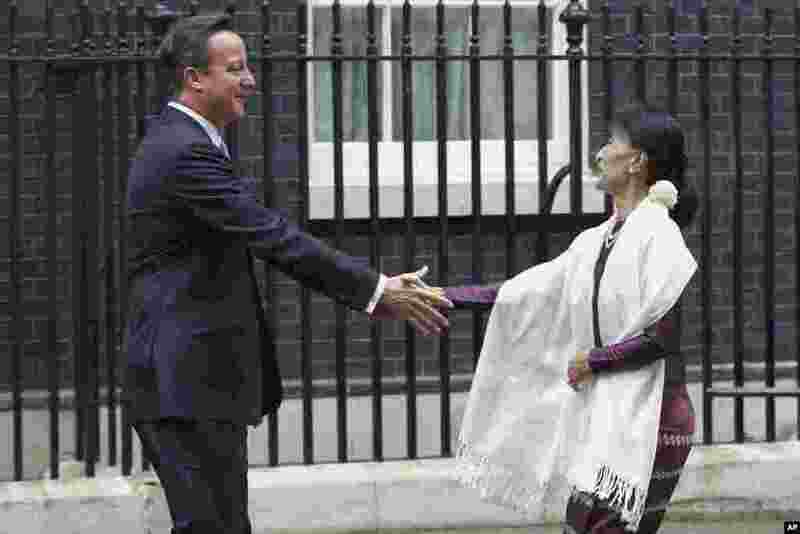 4 Aung San Suu Kyi greets British Prime Minister David Cameron at 10 Downing Street in London, June 21, 2012.